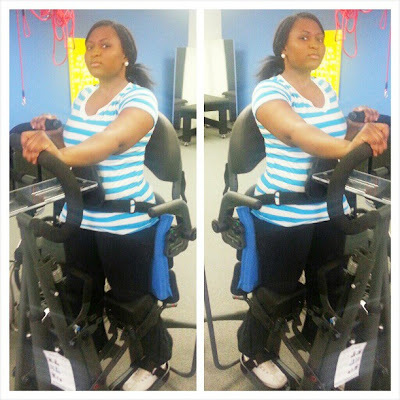 Lizzy Oke...: Fund Raiser COMPLETE!! And Physical Therapy Update! Fund Raiser COMPLETE!! And Physical Therapy Update! Hope you're having a wonderful day so far! Today, I have great news!!! The Fund Raiser for my Physical Therapy has been successful!!! A BIG THANK YOU ONCE AGAIN to everyone of you that donated and helped me spread the word. I really wish I could give you all a big hug!!! People I didn't know donated, and I am just overwhelmed by your kindness. May GOD ALMIGHTY BLESS YOU ALL ABUNDANTLY!!! Here's a screen capture of the donation page! Look, I even got $20 above the Goal!!! I hope I don't need more money for therapy, because my prayer is that God will show up and SHOW OUT in my case as I combine work with my faith in him! Also, I have now been to therapy Three times already this week. As I stated on the fund raising page, My Goal is to go 3 times a week, for 2 hours each day. It's been an interesting three days, and I have been coming home to go straight to SLEEP because of all the aches in my body. Lol.. Good Aches though! They do say No pain, No Gain right? This is a picture of me on the standing Frame at Project Walk Dallas. It feels great seeing myself stand tall like this. I'm looking forward to fully standing this way without support. Well that's it for this quick update y'all! Please, continue to put me in your prayers. You are lucky to have people care even if you do not know most of them. This proves that there are still kindhearted people out there. And for this, you have to continue your physical therapy sessions until you gain strength to stand tall without any support. Also, this is a way to show those who have helped you that their donations are worth it.